Limited space is available and registration is required at www.nols.org/events. Multiple one-hour sessions are available at this event, but it is only possible to take one exam per session (you have 50 minutes to complete each exam). If you wish to take multiple exams, please register for multiple sessions. If you’re unable to attend one of the designated testing sessions, contact ehelp@nols.org to schedule an individual testing appointment with library staff. Participants can take a class, practice for a certification exam, or learn a new job skill using NOLS’ online resources Lynda.com and the Microsoft Imagine Academy. Microsoft Office proficiency is one of the most requested job skills, across all occupations and industries, and holding a MOS certification can earn an entry-level business employee as much as $16,000 more in annual salary than their uncertified peers. Those who earn MOS certification are able to demonstrate that they have the skills to excel at work or school in one or more Microsoft Office programs. In late 2016, NOLS was awarded a $4,500 grant from the Washington State Library to help assemble a mobile laptop lab. 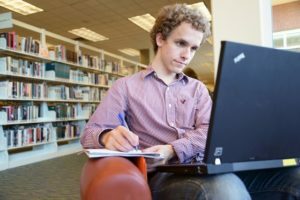 The laptops are now used to offer MOS certification testing around Clallam County in addition to other Library programming, such as computer coding camps. 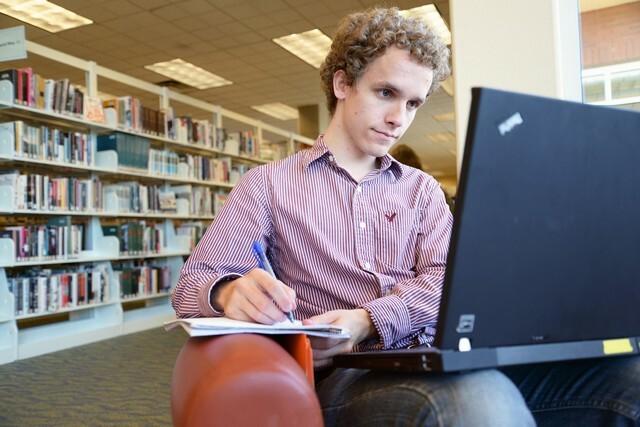 To help prepare for success on MOS and MTA exams, Washington residents can take online courses through the Microsoft Imagine Academy Program FREE through the North Olympic Library System website. The Microsoft Imagine Academy offers hundreds of introductory classes covering everything from sending and receiving emails to navigating the web. Popular courses cover the basics of Office 2013 and 2016, Word, Excel, Outlook and PowerPoint. These digital literacy courses help students learn the essential skills to begin computing with confidence, be more productive at home and at work, stay safe online and take advantage of new career opportunities. For more practiced users and IT professionals, the Academy offers courses tackling advanced subjects such as SQL Server, ASP.NET, Visual Studio and Microsoft Dynamics. All Imagine Academy courses are conducted in one-on-one virtual sessions and are free of charge with your library card. Free certificates of completion can be downloaded at the conclusion of each course, and official Microsoft Certification and testing is also available. Access to the Imagine Academy is made possible through an ongoing public-private partnership between Microsoft, the Washington State Library, Office of the Secretary of State, and the Washington State Legislature. To get started, visit www.nols.org and click on “Online Resources” and then “Online Classes.” Once enrolled, explore the catalog of courses and continue the self-paced coursework on any computer at the library or at home.